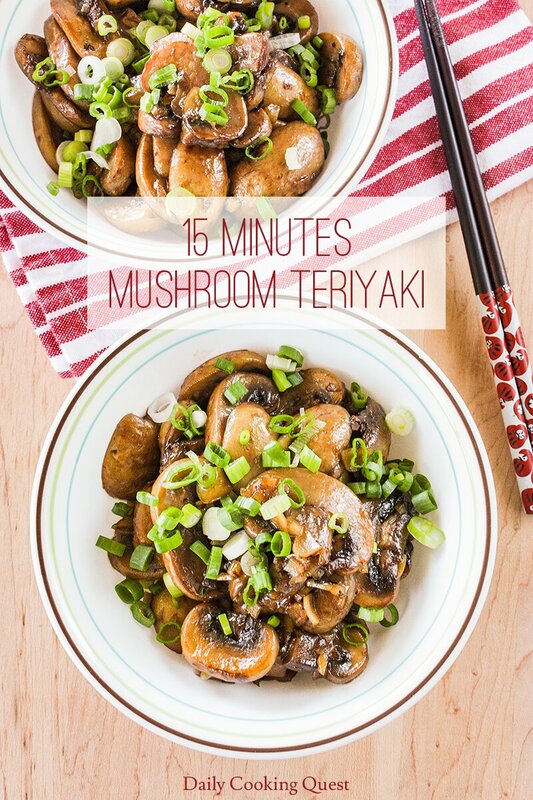 I feel sluggish in summer and I tend to cook really simple dishes, like this 15 minutes mushroom teriyaki, so I can be in and out from the kitchen as fast as possible. Although we are making a teriyaki dish, there is no need to buy a bottle of teriyaki sauce. As long as you have soy sauce, mirin, sake, and sugar, you can make your own teriyaki sauce at home. I use super common white button mushroom to make this mushroom teriyaki dish since this is the most widely available mushroom. Of course you can use other varieties of mushroom too, such as king oyster, fresh shiitake, and fresh portobello. When you use king oyster or fresh portobello mushrooms, this can easily be made into a main dish. I always stock fresh scallions in my refrigerator, so chopping some up to garnish this easy mushroom teriyaki dish is a no brainer. Another possible garnish is to use lemon zest, and even squeeze some of the fresh lemon juice to the finished dish to make an instant teriyaki ponzu mushroom dish! Heat oil in a frying pan over medium high heat. Sauté sliced mushrooms until wilted, then add minced garlic and mix well. Pour soy sauce, mirin, sake, and sugar into the pan. Continue cooking until the sauce has fully reduced and gives the mushroom a shiny coating. Turn off the heat, transfer mushrooms to serving bowl. Garnish with sliced scallions (if using), and serve immediately. 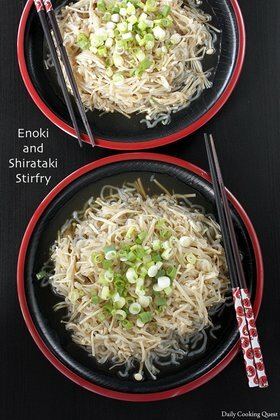 I am loving the sound of mushroom teriyaki! 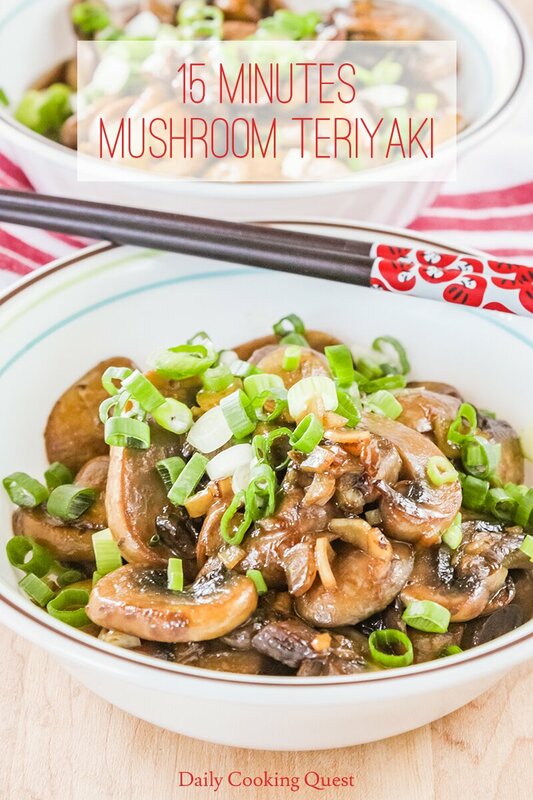 I love mushrooms and teriyaki so what a great way to enjoy both! I'm not a mushroom fan, but my mom's theory is the more mushrooms, the better. It sounds good and I'll pass it on to her. Anything that is ready in just 15 minutes is good with me. You can't beat a homemade Teriyaki sauce. Yup, homemade teriyaki sauce is super simple, definitely no need to buy the bottled version. I pretty much always have mushrooms on hand. One of my favs. What a great easy sounding way to prepare them. 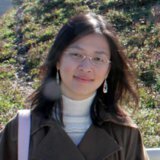 Ah, fellow mushroom lovers then :) Yup, I too always have mushrooms in the pantry, especially the dried ones because they are so versatile. I am a huge mushroom fan and cook it atleast once a week. 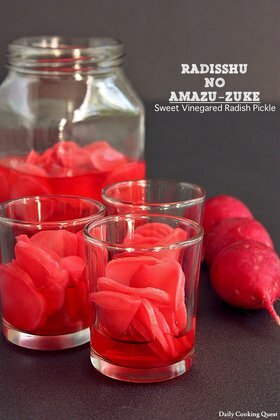 Love this recipe and would surely be trying it out this week.